Our company is dedicated to safe working environments and has developed a community concept. The job site is viewed as a community where a team approach is utilized. All team members are able to contribute with proactive responses in solving safety and quality issues. We also encourage minority participation and mentoring of young people to explore career options in the industry. We guarantee to provide you the most cost-effective solution on your project. 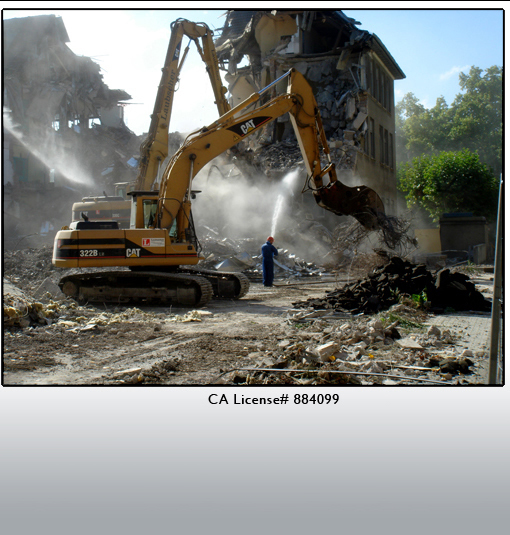 Full Scale Demolition, Inc. is committed to the client and creating long-term relationships. 714-254-0534 office | 714-449-0052 fax Fully Licensed, Insured & Bonded. Contractor's Bond# 41193832.